The Cherry Mama: My new favorite, DIY laundry detergent. 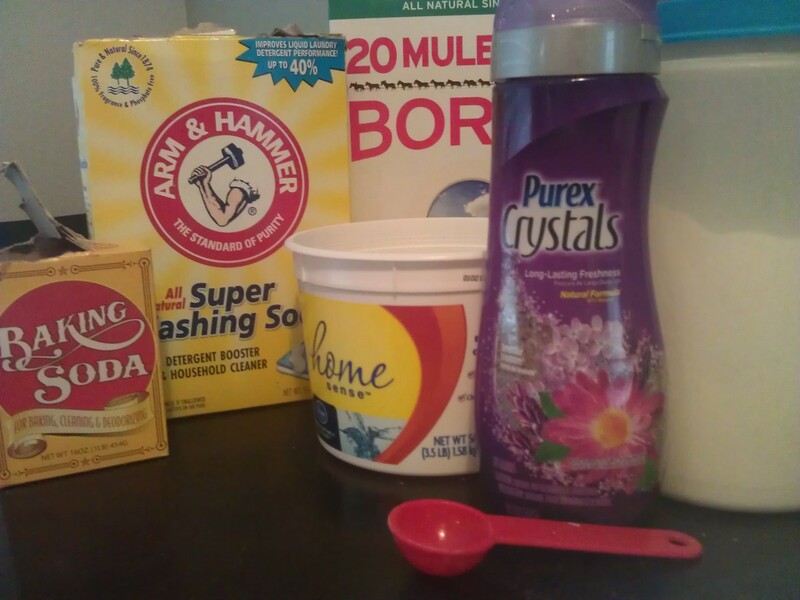 My new favorite, DIY laundry detergent. It was time to make more of my usual laundry detergent recipe. It was perfect I only had to buy on bar of laundry soap (less than a $1 @ Wal-Mart). I had all the goodies I needed already from my other batches, easy! I went to go grab my 5 gallon bucket, then all of a sudden I didn't want to do it. I just didn't like melting and waiting, and separating. I just wasn't inspired. Back to the drawing board. 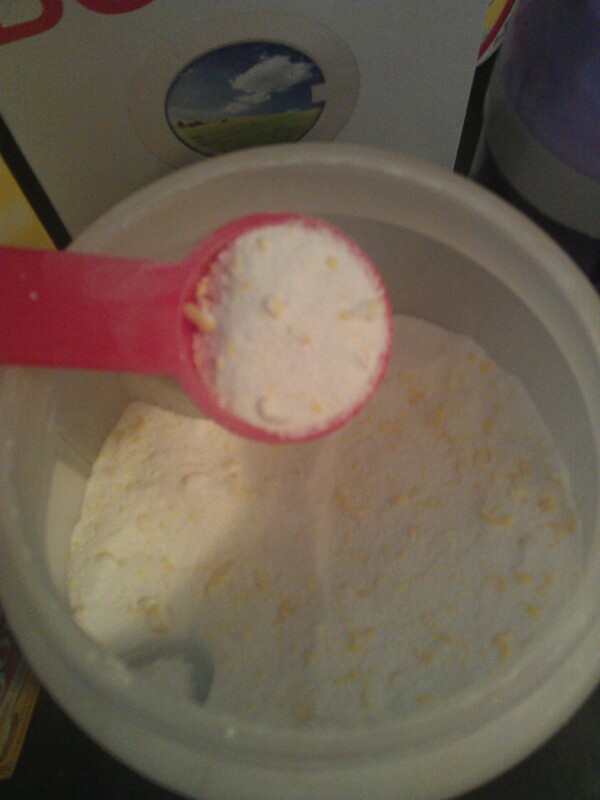 I remember seeing a concentrate mix and I wanted to try that, but I got distracted by a little powdered ditty. Overall I was concerned because it was a powder concoction. I was afraid it would leave residue stains. Might as well try I wasn't going to be making the bulk recipe that this site called for! It made 20 pounds, holy dirty socks Batman! But I highly recomended this recipe. Stir Stir Stir! If you do it in a smaller batch use a sealable tub, and shake shake shake! The best part about it I didn't have to wait over night, and no residue, and the yummy smell! I will warn you the bulk recipe, like I said makes a lot. But go for it if you want. I also was low on a couple of the ingredients because I wasn't planning on making this. So I did a little guessing, but this is a sure win. My recipe is in RED below with the original. Also with my recommendations, along with my quantiles I ESTIMATED. This started as just an experiment, but I will be making it again! But the original recipe is easy to play around with. So give it a shot, I LOVE IT! Just a bit less than 1/4 Box of Box of Arm & Hammer Super Washing Soda. It's all I had left, so that's why this is what it is! Junkies, I just used 1 box 16oz ( open and used a few times) of dollar store baking soda .52 cents! This is what I left out, I have Purex, good deal and works just as good as Downy! I received a free sample of the Downy Unstopables and Purex is just as good! I only left it our is because I bought the foo-foo smelling scent, I don't think my husband would appreciate it. So I add it when I wash. But I will be buying the fresh scent and adding it. 1. Grate zote (laundry bar) soap with cheese grater or food processor. 2. Mix all ingredients together in a large bucket.